As a business and career coach, one of my standing commitments is to challenge client’s assumptions. We all have them. Including moi-même. As a coach, I challenge the client’s assumptions by asking lots of questions to deepen their awareness. Inquiries are analogous to Brillo Pads. Questioning helps the client scrub their assumptions. * Boomer client came to me unfulfilled with his career. For years his assumption was to stay in a job that handsomely paid the light bill and didn’t light him up. I challenged his assumptions and asked introspective questions. In three months he landed the dream gig of his life, plans to write a book, take volunteerism to a new level, and start a consulting business down the road. * Entrepreneur client thought he would need to wait over a year, possibly two, before he could move his family to Sweden. I challenged his assumptions and asked about next steps. He planted a seed, took action, and the universe responded. He and his wife and son landed in Sweden last week. They’ve started their new life, years ahead of schedule. Lycka till ! * Sales professional client was working at a company where the turnover was akin to the burger flippin help at McDonald’s. A salesperson making quota here was as uncommon as rain in the Sahara. In addition, every day my client was hounded by his pit bull manager. I ran a TriMetrix HD Assessment on the client to understand their behaviors and motivators. I challenged the client’s assumptions. In a short period of time, he made his number. As a coach, I’m always challenging the client’s assumptions. This doesn’t mean they don’t understand their business, job, etc. Most of my client’s know exactly what they’re doing. They’re already successful. My questions puts the client in a different place. I empower them with high def 3D glasses to see their world from a different angle. This enables the client to hop on board a high speed rail and arrive at their endgame, quicker. 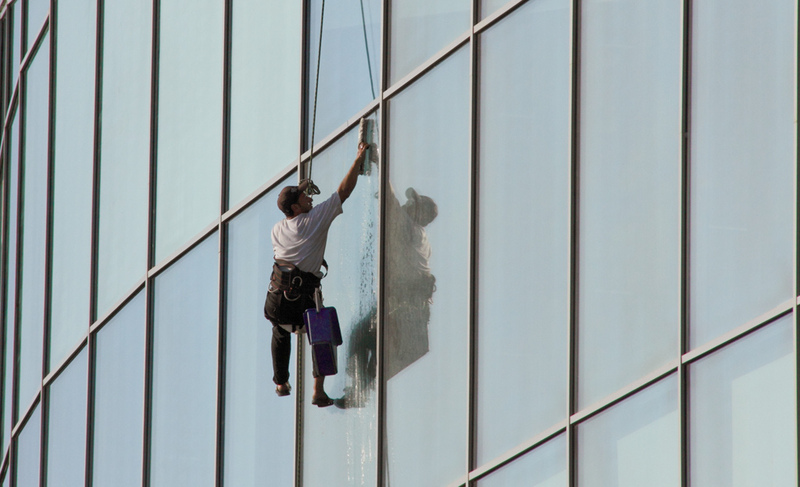 What assumption windows are you willing to climb to and scrub? Today’s guest post on assumptions is provided by Steve Keating (CME, CSE,) Selling Skills Manager for Toro Company. As with many of the quotes from Mark Twain the one above is spot on! Poor listening is the biggest cause of poor communication and assuming is the biggest cause of poor listening. We assume we know the answers to questions before we even ask them so there is little need to actually listen to the answer. Oftentimes we don’t even bother with the question, we just assume we know stuff that just ain’t so. Leaders assume the “mood” of their organizations. Salespeople assume the needs of their prospects and customers. Husbands and wives assume the wants and needs of their spouses. There is a whole lot of assuming going on all around you. Odds are, you’re doing a lot of the assuming yourself. The odds are even greater that many of the assumptions are just plain wrong. Yet we act on them as if they were fact. Businesses fail, sales deals are lost and marriages ended all based on assumptions. Everyone knows the dangers of assuming yet everyone, or most everyone, continues to endlessly assume. Leaders won’t verify their assumptions for fear of looking out of touch or downright stupid. Salespeople fail to ask enough questions because they assume their prospect wouldn’t give them the information they seek. Many people just prefer decisions based their assumptions rather than dealing with the facts. When they hold on to their assumptions long enough the assumptions in fact actually replace the truth – this is known as denial. A wise person will never ever underestimate the incredible power of denial. All the information you need to learn, grow, succeed, and to stop assuming is available for the taking. You only have to stop assuming long enough to reach for it. You need to ask questions and really LISTEN to the answers. You need to open your mind and take nothing for granted. The only assumption that is safe to make is the assumption that all other assumptions are wrong. Successful people learn something new every day, the most successful people re-learn something old every week. They understand that just because something was true once doesn’t mean that it’s still true today. They invest the time to really know. Challenge your assumptions, every assumption, and prepare yourself to succeed in everything you do. Photo by Jens Aaarstein Holm. Good question. How can you make it open ended? Steve, thanks for stopping by. Writing is a challenge for me as well. I look to improve with each word, sentence, paragraph, and email that I write. Sometimes you just need to sit down and do the work. The only assumption that is safe to make is the assumption that all other assumptions are wrong. I love that analogy. Wow what a powerful post. for ten years now I have been a freelance website designer/developer ager giving up my career as a Pub Manager and boy was I in for a shock after making that desicion. I remember my second ever client who wanted my to build a Hip Hop type webite called Pay Ur Dets TV. The client wanted to sell his Merch on the site as well as have his Homies have the ability to upload their YouTube videos to the site. Anyway I gave him a quote and got to work. 2 weeks later I had finished and the client refused to pay stating that the you tube video upload feature was too complicated for his Homies (I was just a file upload button that says mp4’s only). Not being a happy bunny I took the site down and their it stayed. I learnt a lot that day. The importance of having a contract in place. the importance of getting a 50% deposit upfront. over the following years though I gained a lot more clients and I used to meet them in pubs or coffee shops where we would chat about their site for an hour or more. With some of these clients though our relationships broke down because I asumed that I knew what they wanted and some after our meetings didn’t even bother to get back to me. I have learnt a lot more since then and the main thing for me is to qualify my potential clients. Even before meeting them I send the client an email questionaire with questions like. What does success to you look like in a years time? Have you got a domain and hosting? You get the drift. If my client cannot answer these basic questions then I will not meet up with them but when I do I limit my time to 30 mins, I used serviced offices in town, I am the Interviewer asking the questions and I record the meetings on my smartphome recorder so that I get every peice of information. Why do you want to hire me and what superpower do you think I have to bring to the table? Something along those lines anyway. Over ten years I have learnt never to use assumptions and learn from my mistakes. Successful people are the ones who have made mistakes and learnt from them to grow. Others just give up. Phew what a comment. I loved sharing a little of my story and I hope your readers find it useful or enlightening. Thanks Steve & Steve, I really enjoyed reading this. Till next time. In a world where customers have an endless array of choices when choosing a particular business service, I’ve learned you have to be different. After reading your comment, you are clearly different. That’s a compliment. Although I was a sales executive in the high tech world for almost 25 years, I’ve never sold anyone on my coaching services. I prefer to work with clients who enthusiastically enroll. I like your process and the questions you ask. Especially the one, “What does success to you look like in a years time?” This answer tells me a lot about the person and whether or not they’re passionate about what they’re doing.